This new year kicks off very happily with a dynamic new poet who is forging a dazzling path through the poetry scene. A full collection after so few years is testament to the talent, energy and passion that Michele has in spades. But not to give you the wrong idea, Michele was a writer of fiction before she was seduced by the beauty of poetry so is not altogether a raw beginner. What amazes me about her place in the literary world is the way she is already giving back. She has shown courage and enormous generosity in taking on the position of Managing Editor of a high profile online literary journal, Verity La, as well as writing, attending readings and raising three children. I think this is where her Buddhist training must come in. In interview Michele comes across as humble, modest and thoughtful. She is always positive and life-affirming. I look forward to this debut collection (love the cover and title) which I feel will be muscular and far from rose-tinted. transformed by mind’s Maras into weapons. I crave some beauty to buoy me. the husband, oblivion on the couch. whose childhood dream was that? the cruelty of my vision. Their father’s breath is foul, like his tongue. and Ruth gleans artfully among the corn. from your fate and know that you are God! to that dance — would you? (quickly, so as not to wake the unborn) — No! Then watch in awe as this life slips away. a sour spirit leaps in every cell. watches me sob on this still hill. and will not let me scare. Engraft (Island Press, 2016) is Michele’s first full-length collection and will be launched by Martin Langford (along with Les Wicks’ 13th book, Getting By Not Fitting In, launched by Chris Mansell) on 6 February, 2.30 – 5 pm, at the Friend in Hand Hotel, 58 Cowper St, Glebe. Engraft (along with other Island Press titles) can be purchased at http://islandpress.tripod.com/ISLAND.htm. 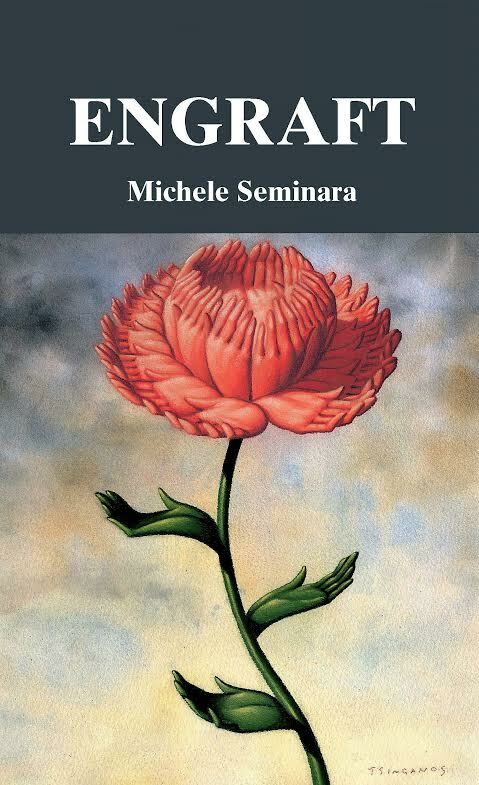 Michele Seminara is a poet, editor and yoga teacher. After studying English and Australian Literature at the University of Sydney, she travelled extensively through India and became interested in Buddhism and yoga, which she has since studied and taught. After returning from her travels, Michele settled down in Sydney to raise her family of three children. Michele is a relatively new poet whose poems have been published widely in the last few years in journals such as Tincture, Seizure, Verity La, Bluepepper, Social Alternatives, Transnational Literature & Regime. 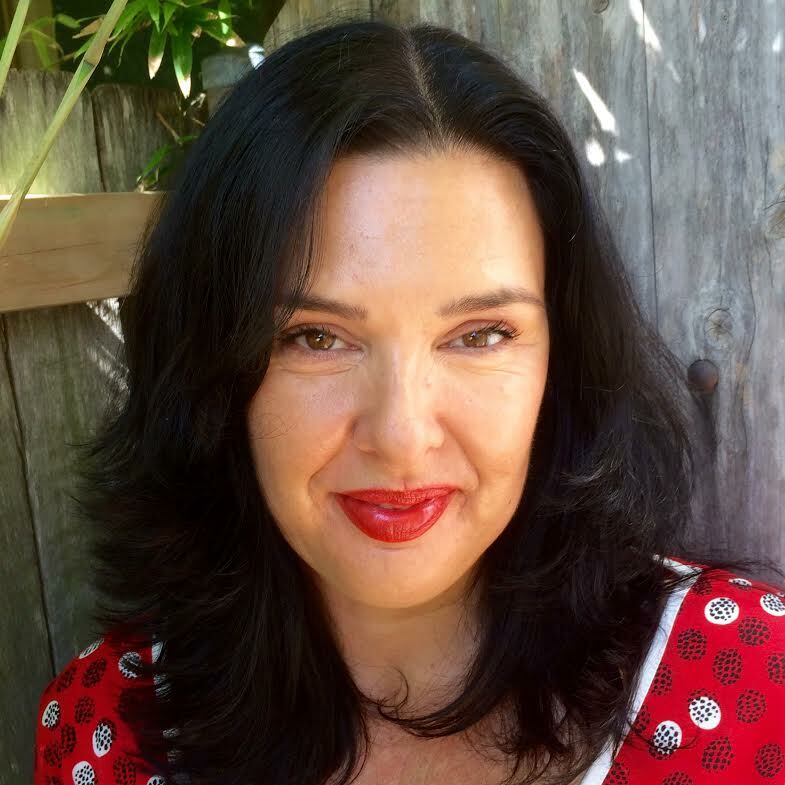 Michele is an active member of the Australian literary community, reviewing poetry collections and interviewing authors for journals such as Mascara, Plumwood Mountain and Verity La. She has also performed her poetry at and helped to organise the Blue Stocking Poetry Jam & the Women’s International Poetry Festival in Sydney. In late 2014 Michele took over the role of managing editor at creative arts journal Verity La (http://verityla.com/, @VerityLa). She blogs at TheEverydayStrange (https://wordpress.com/stats/micheleseminara.wordpress.com) and is on Twitter @SeminaraMichele. This entry was posted in Guests and tagged centos, confessional poetry, magic realism, motherhood, poems about women, poetry of variety, remixed poetry, surrealism, tender poetry, Verity La. Bookmark the permalink. I recently had the honour of featuring as a guest on the excellent blog of poet Julie Maclean. She has some very generous things to say and has published three of my new poems! Please take a read, and thank you Julie!